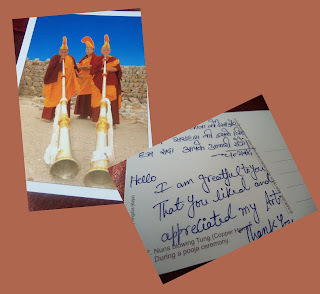 Just recently I was given the opportunity to select an item to review from the Novica.com. Let me tell you I was thrilled. Novica gave me the choice to spend my entire gift certificate on a review item for my blog or spend half and host a giveaway with the other half. So, I chose to share this gift certificate with one of my readers. What is Novica about? Novica in association with National Geographic allows artisans from all over the world to list their work of art to sell on the Novica site. Novica allows you to get to know the artisan who made the product you are buying. The artist is not charged a fee to list their work. The artist is able to set the price of their work of art. I spent hours on their site trying to pick out the perfect gift for myself. I first looked at the Silver Pendant Necklaces of which I might have dropped a dozen or so few subtle hints that one of the necklaces would make a great mothers day gift. Then I picked out a couple handbags. Well, lets just say I could not make up my mind on which one I liked best. After an hour I started looking at the wool shawls. There were only ten or more I like enough to purchase. Finally I settled on an olive silk shawl. The description was what made me settle on this beauty. 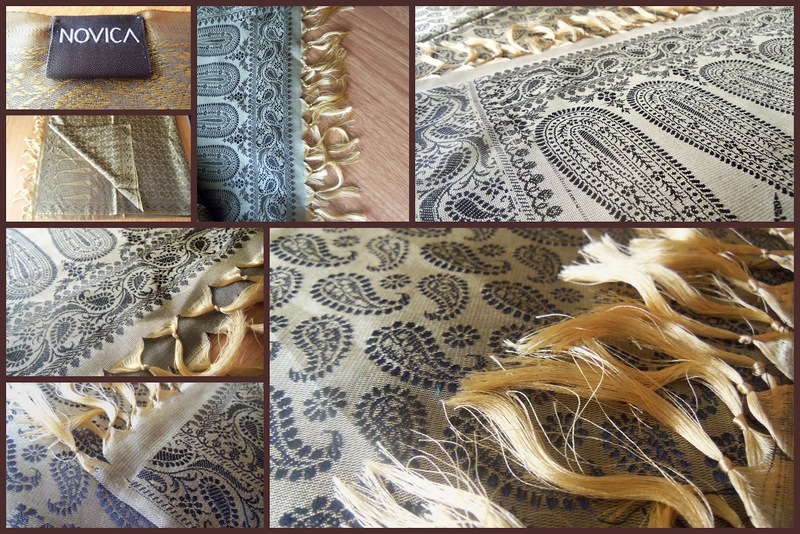 "Beautiful in its traditional artistry, this shawl is adorned with myriad black paisleys dancing on golden olive brown. 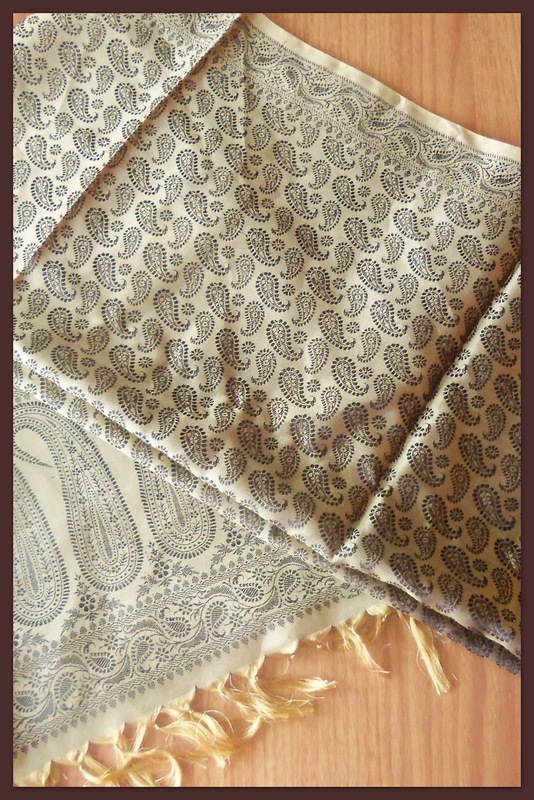 The stylish wrap is woven on a jacquard loom with authentic Banarasi silk." The description sounds so poetic. The shawl arrived in a beautiful gift bag. I felt like it was Christmas. Included in the package was a post card with a hand written note from the artist that made the shawl. A gift card and description card was also included. I really love the colors of this shawl. Olive will be easy to match with several outfits. The material is a very soft silk. What do I like about this product? The craftsmanship is perfect. I can not find any flaws in the product. What do I not like about the product? It is easy to snag. That is not a flaw in the product because any silk material is easy to snag. So, this is not a complaint it is just a warning. Winner will be drawn by a random number generator. The winner will be contacted by email. The winner will have 48 hrs to respond. All entries subject to verification. Please complete the mandatory entry first. What I loke most are their chess sets! Chess is a big deal at our house! Thanks for offering such a great giveaway. Thats strange Bonnie. I am following them on twitter but it registers 0 follower and 0 following. I see others followed too from the comments. Oh wow, thank you and your sponsor for such an awesome giveaway. You are so kindhearted to giveaway your other giftcard. I fell in love with several of their products and right there on top of my list is the Painted glass box, 'In Your Warm Heart'. I am going to post the link because it's too cute not to share with everyone. I am following Novica on Twitter (terrishutterbug). I like Novica on facebook (Terri Ramsey Beavers). I am following you on everything lol so I'll just say G+ (Terri Ramsey Beavers). I commented on the review Gentle Goodnight Sleep Method for Baby. Thank you again for the great giveaway. I love the Pearl and peridot beaded bracelet, 'Marshmallow and Lime'. #2 I follow you on GFC Tammy Schiff. I follow you on Linky Tammy Schiff. I follow you on Linky #2, Tammy Schiff. I commented on the Mom and Baby Shampoo Free Of Phthalate and Sodium Laurl Sulfate post. # 2 I commented on the Mom and Baby Shampoo Free Of Phthalate and Sodium Laurl Sulfate post. I will come back to enter this when I have time to look around if you had that much trouble then I'm going to be there for a bit! This is such an awesome idea for a site way to go and thinks for sharing with us :) I missed a lot when I was sick I see! 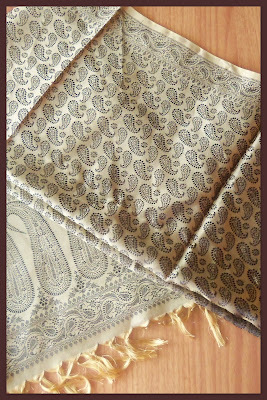 I love everything a NOVA and I have had my eyes on the Wool shawl, 'Paisley Splendor' for a while. Thanks for this giveaway and have a bless week. I love the Onyx anklet in black and silver: http://jewelry.novica.com/anklets/under-$50/onyx-anklet-black-and-white/153276/.